Grow your auto transport business by joining the Independent Auto Transporters Alliance! Discounts on tires, straps, phone service and more! Why should you join the Independent Auto Transporters Alliance? And second of all, the membership pays for itself. How does it pay for itself? The same way your Sam's Club or Costco membership card pays for itself. IATA has negotiated Major Account Pricing on a number of products and services. With the discounts from Continental Tires, you'll pay for your membership if you buy only four tires a year. There are a lot more discounts available to IATA members than these, but these alone will pay for the membership. If you're interested in ways to grow your independent auto transport business, this is a great group of people to hang out with. If you want to help change the industry bit by bit so it makes a little more sense, and solve real problems, then this would be a great organization to join in and team up with. With an IATA membership card, you'll get up to 22% business discount on Verizon and AT&T. Discounts on trailers purchased through WorldWide Equipment? Sherwin Williams, Office Depot, Unifirst Uniforms, Airgas, Staples, ADP Payroll Processing, Vantiv Credit Card Processing, Universal Fleet Fuel Services, RingCentral, Elavon Credit Card Processing, GTS Fleet Tracking, and much, much more. But more than just the discounts...It's kind of like school... you get out what you put in. 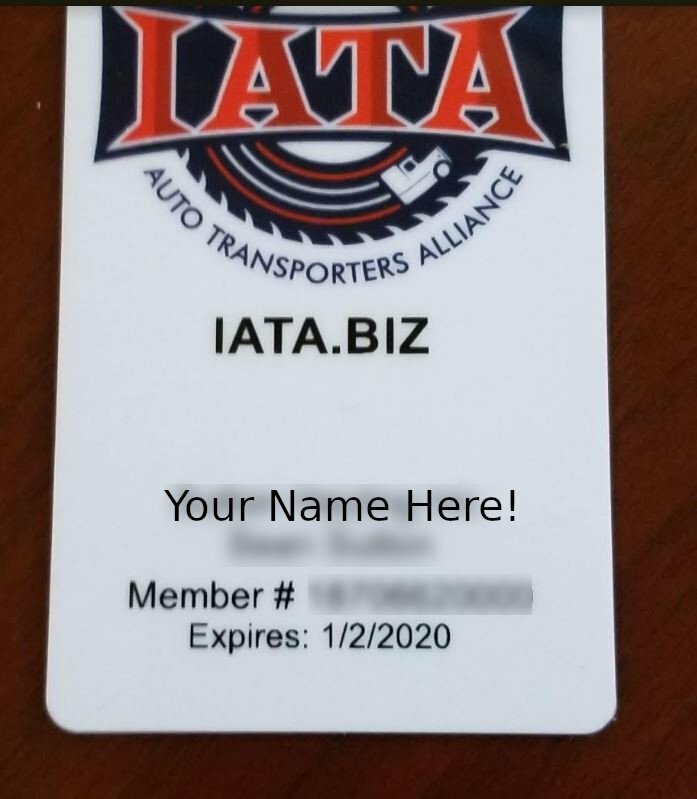 When Ziggy at Autotech first approached me about giving discounts to IATA members, I was a little skeptical. Our whole pricing structure is based on "every day good deals"... I hadn't puffed up my selling price to some artificially high price so I could later on advertise a fake "sale". So, I didn't feel like I had a lot of wiggle room with respect to discounts. But when Ziggy told me about the long-term vision of the organization, I thought, "Why not? My customers SHOULD belong to an organization that will try to help people follow industry best-practices." I liked the idea of my customers banding together to fight against bad brokers that don't pay their bills, or maybe even in the future lobbying to fight against bad legislation and regulations? You'll get your card(s) mailed to you, then just use your card when placing an order for tires, wheel straps, or a brand new Peterbilt. The sooner you get your card, the sooner you start saving money!